We recently went through a period when Caroline was acting out a lot. I had been physically unwell for a few weeks and was feeling awful. My mom was staying with us for the week to help out. Nothing was “normal” around here. Every mealtime became a battleground. Caroline would come completely unglued if her chair wasn’t in the exact right spot at the table or if we weren’t sitting exactly where she thought we should be. I was already feeling terrible and this happening at almost every meal, every day was adding significantly to my stress. Some people would say that Caroline needed a spanking. She needed to be whipped into submission. She needed to put a smile on that little face, say “Yes, Ma’am” and sit wherever we deemed fit. Some would go so far as to put her where she doesn’t want to be just to prove that we’re in charge and she has to obey us immediately. Thank God, literally and truly, that we were not inclined to handle it that way. Whether it was the Holy Spirit or my mothering instinct or my better judgment, I don’t know. But I knew deep down inside that she wasn’t being naughty. She wasn’t defying us. She was acting out because her world was turned upside down. The normalcy she expects in life was not there. Her mother was not available to take care of her in normal ways. It was completely unlike her to be like this. The only time she has a meltdown is when she is over-tired or over-stimulated. Normally she’s a happy, helpful, compliant child who only occasionally tests the boundaries in a normal toddler way. Somehow we got through those couple of weeks. It was extremely stressful at times, but we tried to accommodate her as much as possible and give in when she insisted on things like the fact that our placemats HAD to be touching at the table. In fact, it was the insistence that our placemats be touching that confirmed to me this was a control and security issue for her. She was frightened by the way things were and trying to keep some level of control in whatever way she could. I’m happy to say that in the past two weeks since I’ve been making steady progress at getting better and life has been mostly normal, we’ve not had any meltdowns. Last week we had an almost normal week and did normal out and about things. We went to church yesterday. Caroline has been a very happy camper. I shudder to think the damage we would have done if we had cracked down on her and insisted on “happy obedience” when she was acting out those few weeks. Caroline is just a little person who can hardly understand all the emotions racing around in her heart and mind. It was hard enough for me as an adult to deal with the emotions and stress of being ill. How much more for a little one who has barely begun to grasp her world and how it works? So among the many things I’ve learned through this physical trial, I’m thankful to have this experience that reinforced the importance of listening to what my child is really saying. It is something I’ve always believed, but having the opportunity to put it into practice in a situation that was already difficult and stressful reminded me again of how important it is to back off from a situation and really try to understand what is being said. 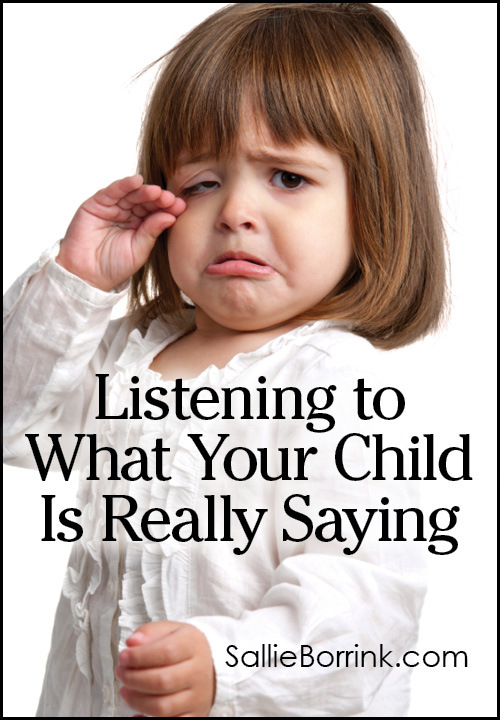 Have you had an experience where you had to take a different approach to listening to your child in order to understand what he or she was really saying? Our Yearly Celebration: It’s a Girl Day! these compliant children, when they do dig in their heels are almost impossible to move. they also seem to pick up on their adults feelings/stress level more quickly than their less compliant siblings. my older boy( the compliant child) had a need from age 3 to about age 7 to know what we were doing that day. he didn’t want to be suprized, even pleasant suprizes like going to the park or library were too much for him to process. he needed about 30 min to mentally prepare for changes in plans. and I can remember being the same way. my parents couldn’t understand why I would cry about going out for ice cream when I thought we were staying home that day. my youngest is a “roll with it” kind of kid, and my older boy has outgrown the need for a daily itinerary, though he does appreciate it. some kids need to feel in control of themselves by being in control of some small part of their environment. 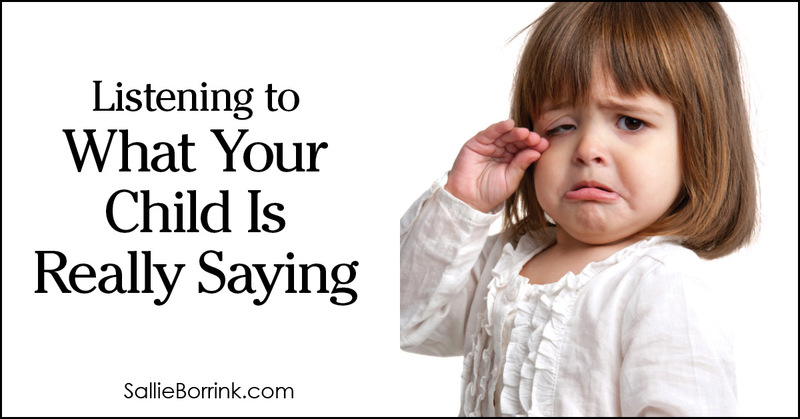 helping a child put words to their feelings also gives them some sense of control. if their feelings have a name, its not as overwhelming. we cannot discipline an overwhelmed child. it won’t be effective. but what overwhelms one child is “no big deal” for another. using the same parenting technique on every kid is like swatting flies with a hammer. Oh, Sallie. Bless you for saying this. My almost 22 month old granddaughter is RIGHT THERE. Her new baby brother is set to arrive anytime now. She is melting down ‘very frequently’ when ‘rarely’ is her usual MO. Your daughter is blessed to have you, someone who takes the time even when in pain herself, to understand her child. What a beautiful post. I could say a lot more on this topic of discipline and punishment, but I’ll refrain and leave it at that. Beautiful. I’m not a parent (yet, anyway….) and I just want to thank you for this post. I will be tucking this reminder – to listen to your child, even when they’re not saying anything – away for future reference some day. Caroline is blessed to have such a wise mama. Yes, YES YES! what an important reminder that I needed. Thanks for the reminder! Even with my 13 year old, I find that most rebellion problems are actually caused by hunger, or even grief that something he likes, or is enjoying, will end. This is a WONDERFUL post, Sallie. Amen and Amen. The “spank ’em into cheerfulness” stuff is SO destructive. It means we never teach our kids how to handle their emotions—-we just call anything but happy a “sin,” and spank accordingly. And then we wonder WHY our churches are full of fake people who put on big smiles and never talk about their real lives, real aches, real fears, real problems. 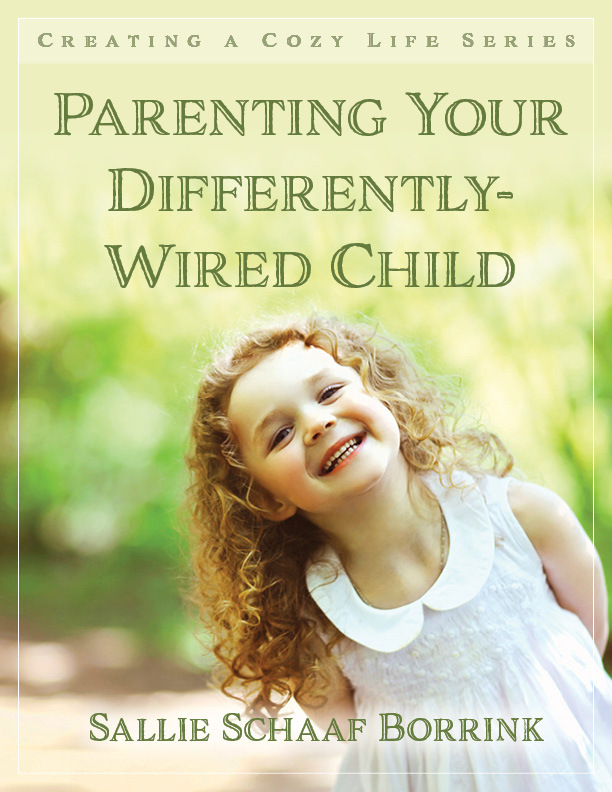 I loved this post, too, because you demonstrated what is really going on: Momma’s responsibility is FIRST to handle her own self and put herself in the shoes of her kiddo. 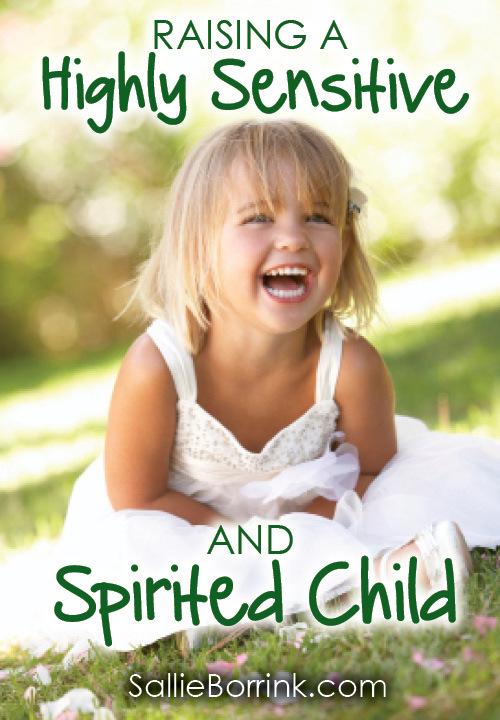 Your intution and/or the Spirit showed you that your child was struggling through transition. She needed to be given the grace and freedom to go through transition and adjust—-just like any human being does. The books that make parents think everything is an “obedience issue” do so much damage, and one of the damaging things is that they encourage us, the adults, to remain immature instead of learning how to get into our child’s head and respond with gracious nurturing to little souls who often do not have words to explain to us what they are going through. They need *us* to be mature enough to figure it out and nurture them into a healthier place, not whack them into fake smiles. Read the comments here (not for the faint of heart) and see what some momma’s are learning from their “Christian parenting books.” It is the most heartbreaking stuff. Sallie, thank you for sharing this. Being tenderhearted and compassionate to our children, showing them mercy and grace, is truly at the heart of being a mom and you expressed so well what this looks like. Bless you. Molly – I completely agree with what you have written. When my first child was about a year old, someone gave me a copy of To Train Up A Child. It was probably the worst book I could have ever been given based on my personal history. I have been struggling ever since to get out of the mindset that you talk about, anything other than happiness is a sin, and that EVERYTHING and I mean EVERYTHING is an obedience issue. It has caused my relationship with my children to be so much more of a struggle than it should be. I am thankful that the Lord has led me to a much more peaceful way of parenting, but it takes constant reprogramming of my brain to get the garbage out. Sallie – Thank you so much for all of these posts. They are really a blessing. I have a daughter who is highly emotional and who is able to read others emotions very well. She is highly intelligent and at 5 years old is always surprising me with her ability to dissect a situation and explain exactly what is happening.